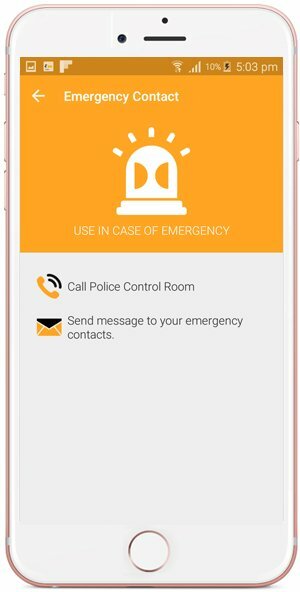 How Does the Emergency Contact Feature work? 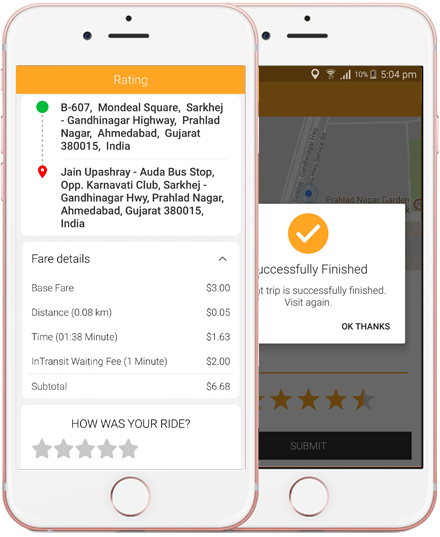 Driver and Rider will also have the option to login via his Email Id, Facebook, Twitter or Gmail Account. A quick & user-friendly way to access all features of the Rider's App. 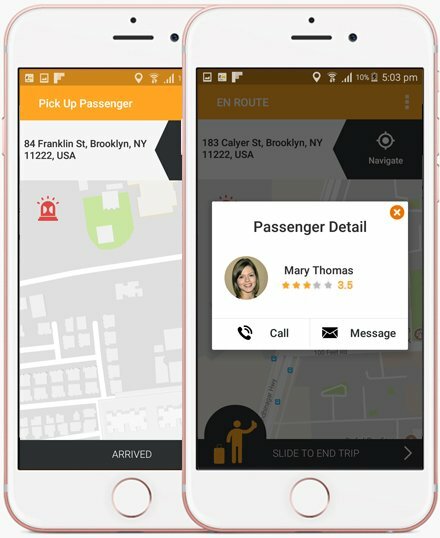 Riders can see all past trips, enter emergency contacts, update payment information, invite friends, and Contact Support. The Rider can enter a promo code for discounts or referrals and select with credit/debit card to use. 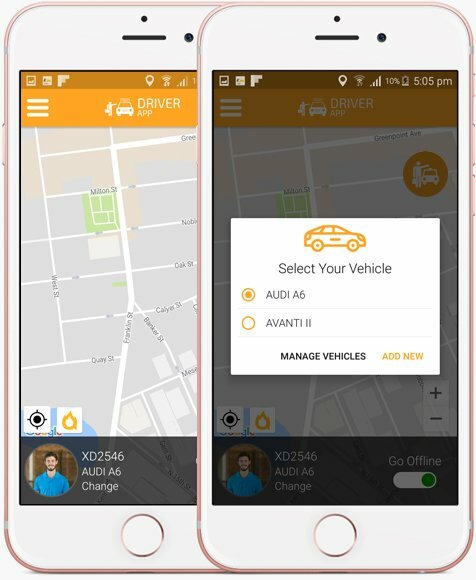 The Driver will become online by sliding the go online option at the bottom of the screen. Once he is online, the Spot A Ride system will be able to send him ride requests made by the riders in his range. All the Driver's in range will receive a notification on their smartphone with a countdown screen. They will have the option to Accept or Reject/Ignore the incoming ride Request. They will also see the Pickup Location & Destination Address of the requested ride before they accept the ride. 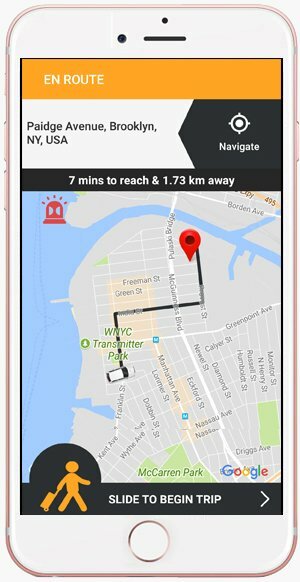 As soon as the Driver accepts the ride, he will see rider's pickup location on Map. He can use the standard, Spot A Ride map or choose to navigate using Google Maps or Waze. After accepting the ride, He can view the Rider's details (name & pic) and can also contact via SMS or call via his phone if he wants to ask for directions, etc.. All information is masked to protect both the Driver and the Rider. The Rider can also Call or text the Driver, Share the Ride detail on social networking sites. The Driver will click on "Collect Payment", the money will be AUTO deducted from the Credit Card of the Rider on file. The Rider sees the invoice detail on the Rider App with a breakdown. When the payment is deducted from Rider's credit card, the Rider will see a notification that the money was deducted. The Rider will be asked if he/she would like to tip the Driver. The Rider can enter the tip amount and it will be deducted from the credit card on file. Spot A Ride never takes any deductions from the tip. Click on the link below to view the Spot A Ride Demo.